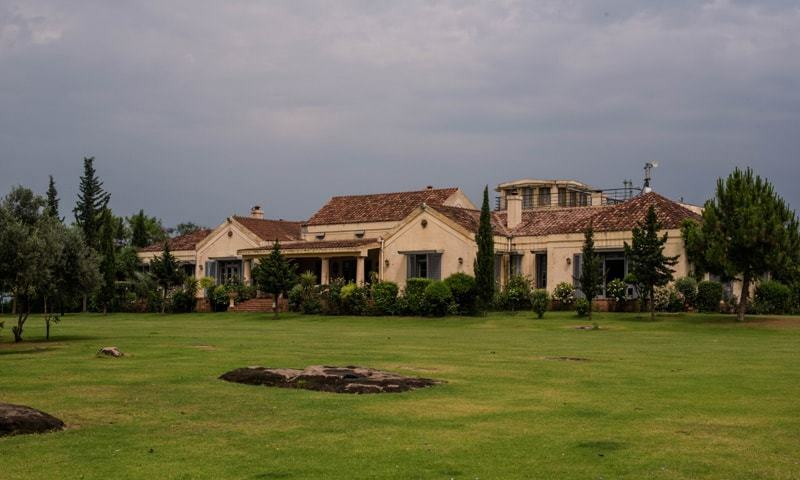 ISLAMABAD: A former chairman and secretary of the Bhara Kahu union council told the Supreme Court on Wednesday that a no-objection certificate (NOC) was not issued for the construction of Pakistan Tehreek-i-Insaf Chairman Imran Khan’s 300-kanal Banigala estate. At the SC’s last hearing, on Feb 22, a three-judge bench had ordered the verification of a site plan submitted to the court on behalf of Mr Khan by his counsel Babar Awan. The SC has taken suo motu notice of a case, based on a letter written by Mr Khan inviting the court’s attention towards encroachment on the Botanical Garden, unregulated construction in the Banigala area, denuding due to large scale tree felling and the pollution of Rawal Lake by sewage. In a handwritten statement in Urdu that was submitted before the court on Wednesday, the Bhara Kahu UC chairman from 1987 to 1991, Mohammad Yaqoob Malik, stated that he did not issue an NOC in 1990 for any housing society or approve the site plan for Mr Khan’s estate, and declared the certificate bearing his signature presented before the court to be a fake. The statement claimed that someone had fabricated the document, which also stated Mr Malik’s name incorrectly. The union council secretary in 2003, Mohammad Umar, also stated that he had never issued an NOC in this regard and denied issuing the certificate submitted before the court. Mr Umar also said that since there was no computerised system in place during that period, all the certificates were handwritten. He said the building plan was summoned by his office, but was never produced. The concerned revenue officer contended in his report that when the land was purchased, revenue officials were not provided with an NOC from the interior ministry or Mr Khan’s ex-wife Jemima Khan’s identity card. Ms Khan also did not appear before the revenue officer when the land was purchased, and no one appeared on her behalf in four of the mutations, the report stated, although retired Maj Pervaiz Malik did appear in one mutation. The five mutations were sanctioned by circle revenue officer/tehsildar Imtiaz Mehmood Janjua on Jan 29, 2005. The land in Khasra no.1939, which measures 300 kanals and five marlas, was gifted to Mr Khan by Saifullah Sarwar Khan Niazi, who was given general power of attorney by Ms Khan to gift all the land to Mr Khan. “Likewise the land was transferred in my name [Jemima Khan] through mutations …. By my ex-husband Imran Khan as a ‘Benami Transaction’,” the report quoted the affidavit, adding after the separation and divorce of Ms and Mr Khan, Ms Khan did not intend to keep the land with her. In his complaint to the SC, Mr Khan had asked the court to take notice of the mushrooming of unregulated and unplanned commercial construction in the picturesque Banigala area of Islamabad, as well as continuous large-scale encroachment on the Botanical Garden and national park. Mr Khan had warned that unless the trend was halted it would spell disaster for the wellbeing of future generations, particularly since Pakistan is one of the greatest victims of global warming. In his letter, he had said that he had spoken to relevant figures in the CDA over the years to draw their attention to the continuous transgressions of the law in Banigala, but to no avail.